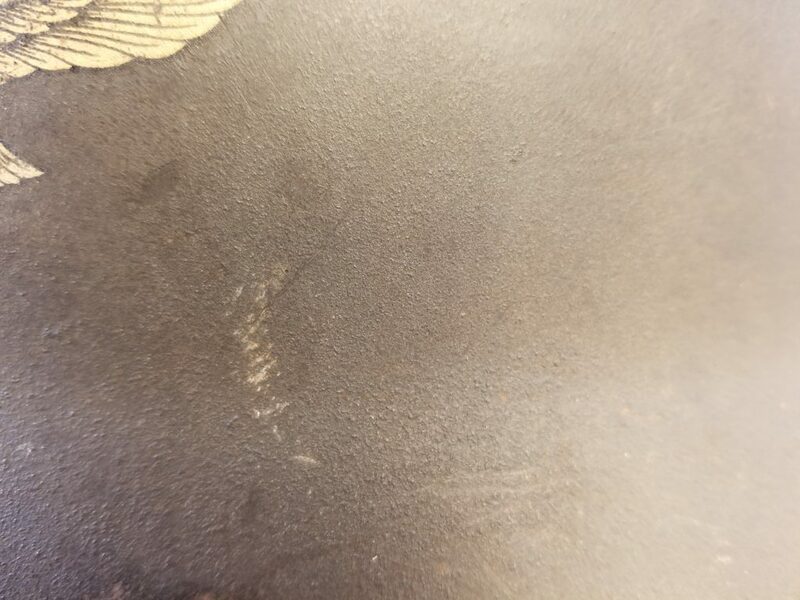 Anyone who has handed and original war-time production German helmet will notice that in most cases they exhibit a rough textured finish. 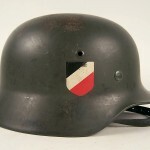 Starting in March 1940 German helmet factories were ordered to produce a rough textured matte finish on their helmets. This was achieved in most cases by aluminum oxide powder. The sharp gritty granules helps breaks up the sun’s reflection creating an ideal finish for combat. That is only part of the story. 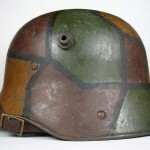 Aluminum oxide in it’s raw form tends to not match the finishes on original German helmets. The writer’s theory is that helmet factories from the era never used raw aluminum oxide. 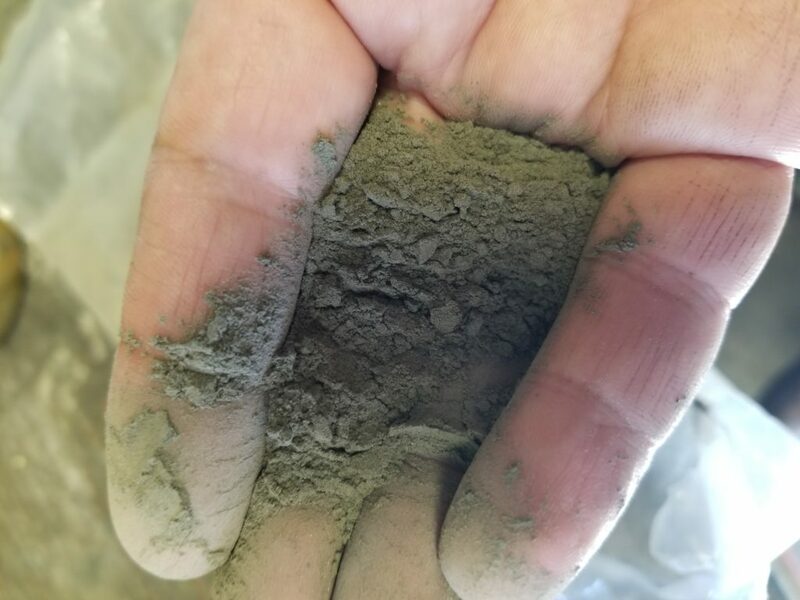 Raw aluminum oxide. 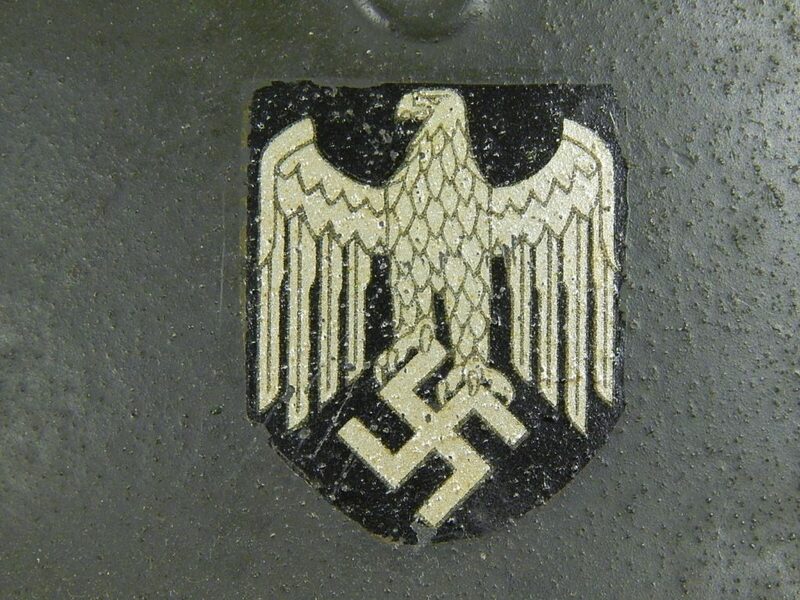 In this form the grainuals are much better than what can be observed on original German WWII helmet. Aluminum oxide is a blast medium which factories used in the helmet manufacturing production. As the oxide is used it breaks down in smaller granules finally to the point it has the consistency of talcum powder. 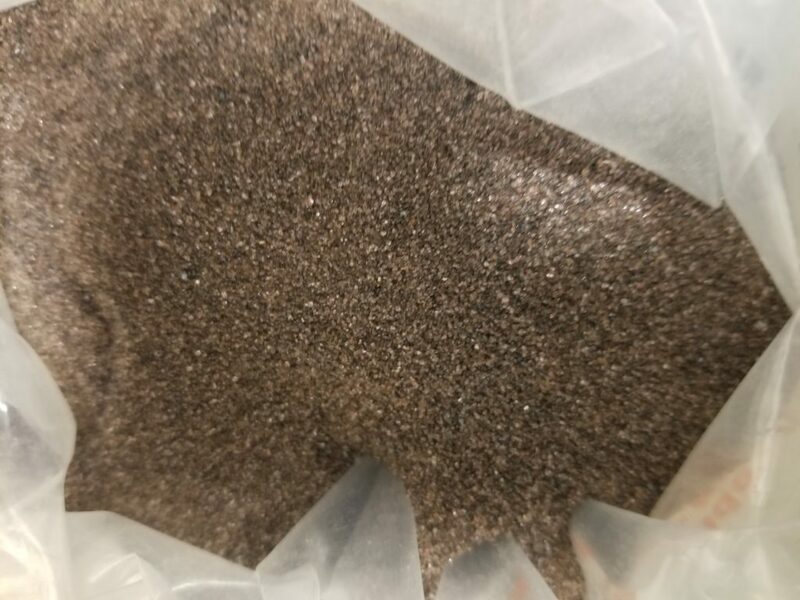 Heavily processed aluminum oxide powder. When this processed oxide is mixed into paint is produced the finish any collector would recognize on original German helmets. 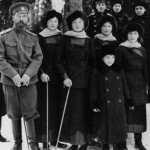 It is well known that during World War II the German government had a policy of recycling. Very little was discarded that couldn’t be re-utilized in some fashion. It seems unlikely that German factories would discard their used blast medium when they could just as easily mix it right into their paint destined to be applied to helmets. It is the writer’s belief that German helmet factories recycled this processed oxide to texture their paint. This would also explain why original German helmets can vary in degrees of roughness, as the factories used aluminum oxide at different stages of processing.